This past Saturday morning, a group of folks involved with economic development in our community gathered together to discuss the topic. 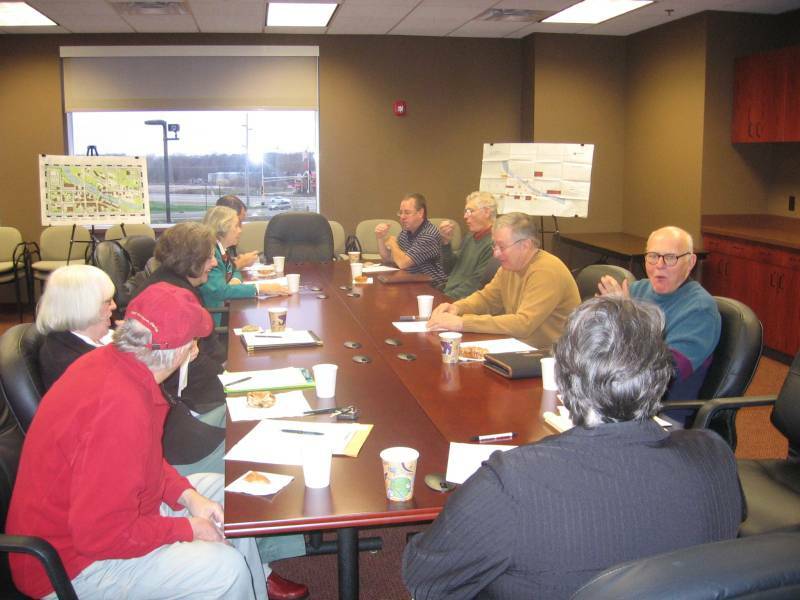 Their specific focus was on in-fill and redevelopment opportunities, those vacant or underutilized properties within the Northfield city limits. Those attending included (from the NDDC) Keith Covey, Ross Currier, Joe Grundhoefer and Kiffi Summa, (from the EDA) Jody Gunderson and Victor Summa (Marty Benson and Jim Pokorney were invited but did not attend), (from the Chamber of Commerce Kathy Feldbrugge and Moe Jeskey, and (from the Planning Commission) Jim Herreid and Alice Thomas. Mayor-Elect Mary Rossing also attended. The discussion was facilitated by local consultant Pat Allen. Although considerable work had been done to set up the gathering (the idea came out of the NDDC’s E R Team), the mood was informal. Coffee and doughnuts were served and their was much friendly banter. The goal was to match potential users with available spaces. The group worked to identify challenges and opportunities, generate action plans, and determine roles and opportunities. We also discussed our next steps. Everyone was impressed at how quickly the ideas flowed and how much agreement there was between the potential partners. As Mayor-Elect Mary Rossing said, “We all agree; so let’s get going”.